When starting this blog, I wanted to use images to give you something pretty to look at in addition to something to read and think about. My first instinct was to search the internet for images and copy them to the blog. Instead, I started searching the internet for articles on fair use and copyright. Trying to muddle through all of the legalese and complicated issues became more than I could handle, so I contacted Allyson Mower, the U's Copyright Librarian. Allyson pointed me to 2 great resources that made it much easier to understand what I can and cannot do both on the blog and in my classroom. One is Know Your Copy Rights, where you can download their informational brochure "What You Can Do", or the handy 1-page chart that breaks down what you can do with written and audio-visual resources in face-to-face classrooms and online classes. Allyson also pointed me to one of several sites that now exist where you can find images that you can post or modify without the need to ask permission. Many images can be found on Flickr - just use the "Advanced Search" option and click the box for "Creative Commons-licensed content". 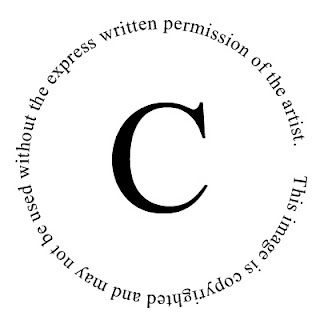 You can learn more about the Creative Commons on their website. If you use their search tool, you can simultaneously find images, video, and music. Just be sure to check out the different types of licenses, as they limit what you can and cannot do with the content you find. I think that incorporating images and other media into my teaching (and my blogging) enriches the experience for everyone, and helps me to reach people with different learning styles. Learning how to do this without violating the rights of the artists and scholars who have produced this work can become complicated in the "digital age" when everything seems to be just a click away. I'm very grateful that we have resources like Allyson to help us - both as creators and consumers of media content.